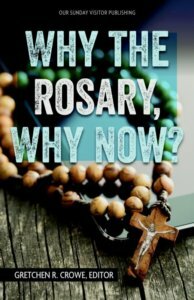 WASHINGTON — Why do Catholics pray the rosary? The rosary evolved over the next three centuries to consist of 50 beads — which form the five sections, or decades, of the rosary, separated by a large bead for the Our Father. “In many ways, the rosary and its spiritual benefits became most well-known during the 19th and 20th centuries through the record 11 encyclicals Pope Leo XIII wrote on the topic,” Crowe said. In addition to Pope Leo XIII and his writing, the rosary increased its popularity when St. John Paul II added the luminous mysteries in 2002. The luminous mysteries are one of four mysteries for the rosary and are known as the mysteries of light. The other three are the glorious, joyful and sorrowful mysteries. The mysteries recited different days of the week. 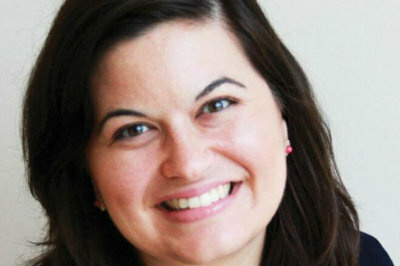 “The division into the mysteries of the life, death and resurrection of Jesus are part of the gift of the Dominicans to the universal church and in the recent past by St John Paul II who gave us the Luminous Mysteries to ponder,” said Conventual Franciscan Father Jude DeAngelo, chaplain and director of campus ministry at The Catholic University of America in Washington. Crowe explained that Catholics say the rosary to become more connected to Jesus Christ through his mother, Mary. The prayer’s mysteries use Scripture as a way to connect each bead to a passage from the Bible. When the rosary is recited this way, it is called the scriptural rosary. As an example, the sorrowful mysteries tie to Scripture readings from Isaiah, Wisdom, Psalms, Lamentations, Matthew, Luke and John. Crowe believes the prayer is great for kids to say with their family. There are numerous ways to pray the rosary and why people do it. Father DeAngelo describes the prayer as a way to walk in the footsteps of Christ. Oct. 7 is the feast of the Holy Rosary. It marks the naval victory at the Battle of Lepanto by Don John of Austria over the Turkish fleet on the first Sunday of October in 1571. On that same day, the pope in Rome told the faithful to say the rosary for a victory in the battle. For many Catholics, the rosary is a shield of protection during times of need. Crowe said that it can help with life’s struggles. Using the prayer during times of need can turn rough moments into signs of good news. Crowe says that it provides comfort and strength. With growing popularity among youth in colleges across the country, it is not uncommon to find stories of people who love saying the rosary. Victoria Conaway, a recent graduate of The Catholic University of America, has been praying the rosary regularly since high school. Conaway said she had an impressive experience when she was at World Youth Day in Poland last year.